Over 284 tonnes of food products were collected as part of SPAR Hungary’s Joy to Give! Christmas donation campaign. 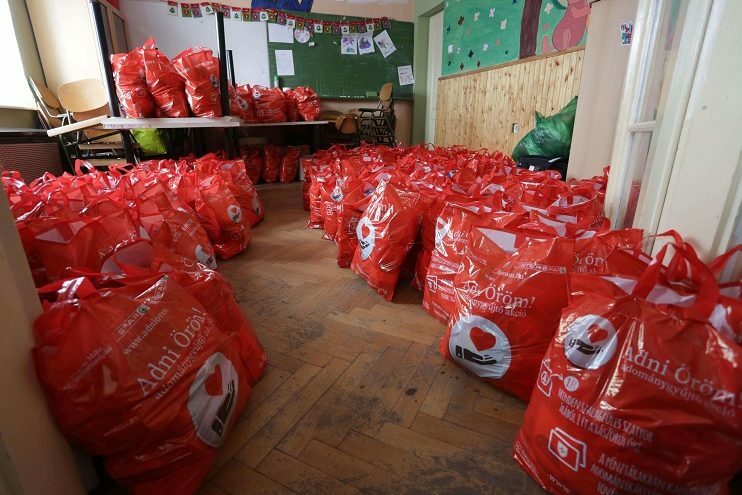 Organised together with the Hungarian Maltese Charity Service, the campaign resulted in the delivery of over 30,000 gift packages to people in need last December. The campaign took place in 133 SPAR Supermarkets and 32 INTERSPAR Hypermarkets, for a period of only six days – 13 to 18 December. Almost 3,000 volunteers from the Charity Service collected the goods from stores across the country. To make sure the most beneficial products were donated, a shopping list of several thousand items was compiled. 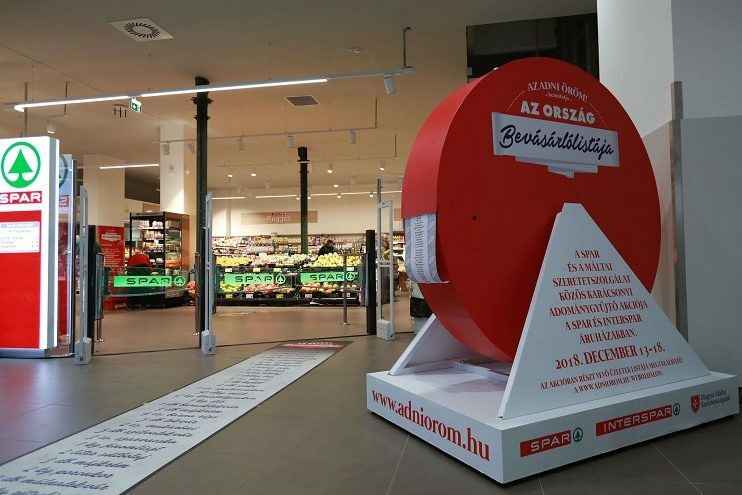 The 200-metre long list was showcased in the SPAR Supermarket in Batthyány Square in Budapest and was also available at numerous advertising spaces in public areas, ensuring shoppers had easy access. Whilst the Joy to Give! Campaign is only run once a year ahead of Christmas, SPAR Hungary shoppers can support children and families in need all year round by purchasing a Maltese Charity Service donation card at the checkout counter of SPAR stores. Read more news from SPAR Hungary. The first SPAR Supermarket opened in Hungary in 1992, following the acquisition by ASPIAG (Austria SPAR International AG) of a majority stake in General Kereskedelmi Rt. Since its launch, SPAR Hungary has been actively involved in the development of the retail industry in the country. The move to license independent retailers to operate the SPAR Brand has proven to be very successful for Hungary, with new stores meeting the needs of a larger number of shoppers. The retailers benefit from becoming part of the SPAR organisation with access to own brand products, operating systems and the brand, whilst consumers enjoy the increased number of store locations.